The charming boutique hotels of Rusticae allow you to discover the special places of of Asturias and enjoy every second of your stay. How to get there? Asturias is easy to reach, the network of highways is perfectly connected. The hotels are about 4 hours from Madrid and about 2 hours from Bilbao. Asturias is known for its rugged terrain, which makes up for a beautiful scenery along the way. Exciting stages of La Vuelta have been held in this area, which always created a great promotion for this area. What to see and visit in Asturias? The Rusticae boutique hotels are located in the best places to discover Asturias. Oviedo, Gijón, Avilés, Llanes, Descent of the Sella, Cudillero, Ribadesella, Lastres, Tazones ... All unique and interesting places to visit. Gijón, Oviedo and Avilés are the most important cities of Asturias and they have a great cultural offer. Where to stay in Asturias? Our Hotels in Asturias will allow you to stay in style, in the best places and at the best prices. 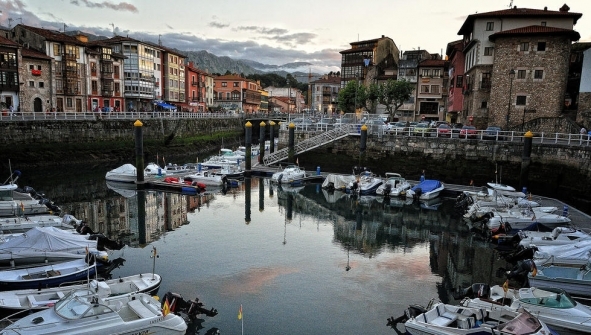 Where are the best parties in Asturias? La Semana Negra in Gijón, Descenso del sella, Carmín de la Pola, Fiesta de los huevos pintos, Descenso del Nalón. When to visit Asturias? Really any month of the year is a good option to visit Asturias. How are the Rusticae hotels in Asturias? Our premium selection of Hotels in Asturias assure the highest quality and service. We always show you the best Hotels that comply with our quality criteria. Asturian Gastronomy When travelling to Asturias, you really can not miss the delicious gastronomy. Here you will find the best local products like: beans, sea fruits and fish from the Bay of Biscay, the best veal, or cheeses such as Cabrales, Gamonedo or La Pear and delicious desserts such as arroz con leche, casadielles, or frixuelos. Visit Asturias with children Are you looking for Hotels in Asturias to come with children and family? Our establishments meet these requirements, so that your stay with family or children will be perfect. Take a look at our selection and plan your next trip!